Feminist children's literature is the writing of children's literature through a feminist lens. Children's literature and women's literature have many similarities. Both often deal with being weak and placed towards the bottom of a hierarchy. In this way feminist ideas are regularly found in the structure of children's literature. Feminist criticism of children's literature is therefore expected, since it is a type of feminist literature. Feminist children's literature has played a critical role for the feminist movement, especially in the past half century. In her book titled Feminism Is for Everybody: Passionate Politics, Bell Hooks states her belief that all types of media, including writing and children's books, need to promote feminist ideals. She argues "Children's literature is one of the most crucial sites for feminist education for critical consciousness precisely because beliefs and identities are still being formed". The cover of Hooks' book, drawn by Laura DeSantis, depicts children alongside adults, showing the importance of the youth. The presence of feminism in children's literature has evolved over the years, but the overall message and goals have remained consistent. During the second half of the twentieth century, children's literature and the feminist movement made many improvements together. A currently accepted method of thought for children's literature criticism in the academic world came to life during the 1970s, the same time that the second wave of feminist theory became popular. Early in the decade feminist critics like Kate Millett explained how good writing was based on a belief that being a white male was normal and anyone else was a deviation from the normal. At this time, many female characters in children's books "play dead or doormats (as in 'Snow White', 'Cinderella', and 'Sleeping Beauty') or are severely mutilated (as in 'The Little Mermaid')". Due to the second wave of feminism, gender roles in all of the classic fairy tales (such as Grimm, Andersen, and Perrault) were starting to be questioned. Female heroes of the time were also inadequate. The women were simply "men tricked out in drag" and had the same exact plotlines as the male heroes. The only difference was that instead of needing to be rescued the heroines did the rescuing. More and more studies began emerging from children's literature. All the findings agreed that women were drastically underrepresented and given few options. Boys were overwhelmingly shown to be much more active and have adventures more frequently, while girls were passive and remained in the home with the adult women. The results of countless studies conducted over the years all had the same or similar results. A study conducted in 1976 by The Feminist Press examined picture books for children between the ages of four and eight published from 1972. Books were chosen if they contained the following themes: an active and adventurous girl protagonist, boys expressing multiple emotions and being sensitive, and non-traditional families that reflect multiple aspects of society. After being chosen the picture books were examined for gender stereotypes in primary and secondary characterizations, illustrations, and language. The results showed that many instances of sexism were present in the picture books. Out of a few thousand picture books published in the five years, fewer than two hundred met the qualities needed. Although there were thirty-five publishers represented by the books, only about six publishing houses made the majority of those. Furthermore, most of the stories only had the first quality, which was a girl as an active protagonist. However, there was a problem in these stories as well. While the young main character could go out on adventures, mother and grandmother characters were stuck in traditional roles. The study found limited examples of books that showed men as nurturing or of characters in non-traditional families. Only one hundred and forty-three books in the study were decided to be recommendable, twenty-eight were somewhat recommendable, while twenty-two were not recommendable at all. In 1989 a study was done in which the frequency of female and male characters in children's books was measured. It found that books from 1972 had female characters only 25% of the time, while in 1989 female characters were shown just as frequently as male characters. It also discovered that Caldecott winners and honor books were becoming more likely to have female characters and that they were not given stereotyped roles as they were in the 1960s. One statistic from the study showed that in the late 1960s only 1% of animal illustrations in Caldecott books were female animals. However, by the late 80s that number increased to 22%, and by the late 90s that number was at about 72%. Three studies done in the late 1970s and early 80s yielded interesting results about what children like to have in their books. In 1975 Sally Jennings completed a study that found that kids around the age of four remember stories where characters do reversed-stereotyped things more than they remember stories where characters act according to classic gender roles. Three years later, in 1978, a study by Sally Koblinksky found that by the age of 10 children better remember stories with stereotyped characters. A study done by Jerri Kropp and Charles Halverston in 1983 showed that children in preschool dislike hearing stories were characters of the opposite gender act along gender-stereotypes more than they dislike stories that have characters that do reverse-stereotyped things. In the early 1990s several studies were carried out that showed an increase in equality in award-winning children’s literature. The research found that only 11.1% of Caldecotts during 1967 to 1971 had female protagonist. During the years 1987 to 1991, however, 43.2% had main characters that were female. By the start of the twenty-first century, reverse-stereotyped roles in the protagonist were as popular as stereotyped roles during the late 1960s. By 1992 only 32% of Pulitzer Prizes for fiction writing, and a mere 8% of Nobel Prizes in literature, were awarded to women. However, women had won 66% of Newbery Medals. The amount of female authors for children's literature played a strong role in the other statistics mentioned. While it is important for females and males to be depicted equally in children's books, that is not the main purpose of feminist children's literature. Children's books often focus on people or animals that do not have power because they are placed at the bottom of a hierarchy. Therefore, it is the goal of feminist to promote children's literature that gives children autonomy and the authority to speak and be heard. Books for children need to show how important it is to be able to listen and hear the accounts of others' stories. Furthermore, feminist theory gives children the right to be included in the literary community, to no longer be oppressed by a hierarchical order of power. A final goal of feminists is to create non-sexist books that show what society is becoming. Promoting feminist theory without being labeled as a "message book" is crucial to the cause. By focusing on these goals, feminist authors hope to get their message across while still producing quality books for children. 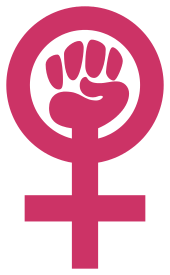 Beginning in the 1960s, feminism began to appear in many forms of media because of the social changes that were taking place at the time. Specifically, children's books are one form of media that feminists began to use to spread a better understanding of feminism and the stereotypes of women. As children are a main target of the influential stereotypes of patriarchal mass media and important receptors of literature, they can be influenced by feminist literature to help abandon any learned stereotypes. Since second-wave feminism, children's literature is being influenced by feminist theory and ideals since second-wave feminism, and is still growing as an influential media source in literature in today's society. In Feminism is for Everybody, bell hooks expresses her enthusiasm for spreading feminist ideals to everyone to prevent stereotypes and give people new perspectives on feminism. Hooks argues that feminism needs to be shared through many sources of media so that the ideals of feminism are easily accessible to everyone. Feminist theory can be found in children's literature. Hooks states, "There should be so many little feminist primers, easy to read pamphlets and books, telling us all about feminism, that this book would be just another passionate voice speaking out on behalf of feminist politics". Feminist children's literature provides one form of this easy to read media. It either acts to highlight females and educate people about the history of women, or it acts to subtly give ideas of reversed gender roles where a female character might have more power. Children's literature can be a valuable media source to influence children's views as they learn gender stereotypes and stereotypes about women society. Feminism began to have an increasing presence in children's literature after second wave feminism. According to Kinga Varga-Dobai, second-wave feminist research had a huge impact on media such as children's literature. Another article by Abigail Feely states, "Children's books published during and after the second-wave feminists movement provide unique clues into the gradual normalization of feminist rhetoric into broader cultural context". Varga-Dobai also states that the 1960s brought about the ideas of multicultural literature because of "shifting social and political perspectives on race, class, and gender." People began to pay more attention to the degree that children were being influenced by any ideologies embedded in children's books. Many feminists noticed that the traditional folktales contained female characteristics that feminists did not agree with. Varga-Dobai describes that female characters in children's novels began to be portrayed as more daring, active, and independent in order to provide girls with a new image of an ideal female. Furthermore, the idea of a strong, independent female character in children's books plays into the topic of gender representation. According to Varga-Dobai, "The study of gender portrayals in children's literature has been closely informed by both cultural and feminist studies because women, as members of culture, have often been represented as the "other" in literature". Therefore, feminists work to overcome any misrepresentations or stereotypes of gender in children's literature. Feminists want children to be educated through a feminist view so that their opinions are not as skewed when it comes to gender stereotypes and education of influential women. Also according to Varga-Dobai, "From a postconstructural feminist perspective, gender representations should allow for a more complex portrayal of subject positions available for female characters". As second-wave feminism brought social change in women's positions in society, female characters also began to take on a social change, moving away from the traditional female characters. One example of a children's book that includes feminist ideals that highlight females is Rad American Women A-Z by Kate Shatz. Inspired by her two-year-old daughter, Kate Schatz wanted to create a book that educates children on women's history and also teaches them the alphabet. Schatz noticed the gap in feminist-inspired children's literature. In her book, she features inspirational women of different races whose names start with each letter of the alphabet. Her book highlights influential women, or "feminist heroes," who have made important accomplishments but may not be well known. This book not only intends to fill a hole in feminist literature for children, but also addresses and represents race through the women that Schatz chooses to highlight throughout the book. This children's book by Schatz is one example that begins to fulfill the need of "easy to read pamphlets and books" that Hooks discusses. A prominent example of a feminist children's story that subtly speaks out about the issues of gender stereotypes is The Paper Bag Princess by Robert Munsch. This story is known to be the birth of feminist literature. It is a fairytale that has a strong female character and a feminist ending rather than a traditional story ending. In the story, the princess wears a paper bag and puts herself in danger to rescue the prince. However, the prince is ungrateful because she does not look like a real princess in her paper bag. Like many children's books, this story shows the reversed roles of male and female characters which reveals that feminist ideals are seeping into children's literature. Children's literature can have a significant impact in the classroom. As children learn about issues of culture, feminist lenses are encouraging students to take on different perspectives. Learning through a feminist lens also encourages different views not only about gender representations, but also about race and class. It is believed that feminist theory can transform students' readings by how much they recognize the different gender patterns throughout literature. An article by Feely brings up a suggestion that, "Many radical and incorrect images of feminism persist in the popular imagination. At the same time, ironically, feminism has become so ingrained into mainstream culture that many students don't recognize it". Feminism is sometimes skewed in the popular media, but it is also subtly fixed into culture in different ways such as through children's literature. As students learn, they are heavily influenced by mainstream culture, but incorporating children's literature into classroom settings can help expand opinions. Feminist children's books are becoming more prevalent, but we are still in need of more female children's authors and books according to hooks. In hooks' opinion, "We are not there yet. But this is what we must do to share feminism, to let the movement into everybody's mind and heart". Hooks believes that there is still much to be done to spread the correct image of feminism, whether it is done through children's literature or through mainstream media sources. Feminism has become more prevalent in children's books since second-wave feminism, but there is still a gap in children's feminist literature that can continue to be filled. 1 2 Nodelman, Perry (1988). "Children's Literature as Women's Writing". Children's Literature Association Quarterly. 13.1: 31–34. doi:10.1353/chq.0.0264. ↑ Hooks, Bell (2000). Feminism Is for Everybody: Passionate Politics. New York: South End. 1 2 Paul, Lissa (1998). Understanding Children's Literature. Taylor & Francis Ltd / Books. 1 2 3 Wigutoff, Sharon (1979). "The Feminist Press: Ten Years of Nonsexist Children's Books.". The Lion and the Unicorn. 3.2: 57–63. doi:10.1353/uni.0.0382. 1 2 3 Clark, Roger (2002). "Why All The Counting? Feminist Social Science Research On Children's Literature.". Children's Literature in Education. 33.4. ↑ Clark, Beverly (1993). "Fair Godmothers or Wicked Stepmothers? : The Uneasy Relationship of Feminist Theory and Children's Criticism". Children's Literature Association Quarterly. 18.4: 171–176. doi:10.1353/chq.0.0910. ↑ Collins, Louise (2010). "Autonomy And Authorship: Storytelling In Children's Picture Books". Hypatia. 25.1: 174–195. doi:10.1111/j.1527-2001.2010.01090.x. ↑ Varga-Dobai, Kinga. "Gender Issues in Multicultural Children's Literature--Black and Third World Feminist Critiques of Appropriation, Essentialism, and Us/Other Binary Oppositions". Multicultural Perspectives. Retrieved 9 April 2015. ↑ Feely, Abigail. "Picturing an Alternate Ending: Teaching Feminism and Social Change with The Paper Bag Princess". Ebscohost. The History Teacher. Retrieved 13 April 2015. ↑ Feinstein, Laura. "Feminist Heroes to Teach Kids Their ABCs in Badass New Picturebook". GOOD: A Magazine for the Global Citizen. GOOD Worldwide Inc. Retrieved 7 April 2015.